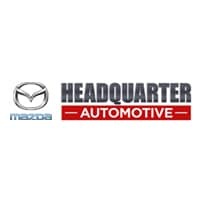 Welcome to Headquarter Mazda, a brand-new dealership with an all-new facility that recently opened at 17500 State Road 50 in Clermont, FL. Dedicated to serving Winter Garden and Ocoee drivers, we may be a new dealership, but we’re a dealership with an experienced team from the same family of dealerships as Headquarter Honda. At Headquarter Mazda we are a family business. We’re not a big giant corporation and our customers are not just numbers to us. Everyone that steps through our doors is part of our community, and we will treat you like family. Our goal is to make sure all of your automotive needs are met! When you come to Headquarter Mazda, you can choose from the latest Mazda cars. Mazda builds sporty vehicles of all types that are imbued with SKYACTIV® TECHNOLOGY, which increases performance and fuel economy. Mazda cars like the Mazda3 sedan, Mazda CX-5 hatchback, and Mazda MX-5 Miata roadster handle like sports cars, help you save gas, and are equipped with the latest features and technology. You can also visit our dealership to find reliable certified pre-owned Mazda vehicles and used cars from many different automakers. Whether you choose to buy new or used, our finance department can assist with getting you approved for a loan. And we have an onsite service center staffed by experience and certified Mazda technicians. Headquarter Mazda may be a brand-new dealership, but we come from a proven, family-friendly dealership background. We look forward to meeting you, showing you our inventory, and helping you drive off with a car you’ll love to an Italian restaurant in Clermont!